On International Coastal Cleanup Day, groups from around the world will gather along our nation’s creeks and shorelines to confront the millions of pieces of litter and debris that tarnish the beauty of our coastlines, kill marine life, and pollute our water. Plastic pollution has been receiving significant media attention recently; National Geographic produced an issue themed around plastic pollution, and not a day goes by without another news story about the amount of plastic currently in our water, streets, air and bodies. 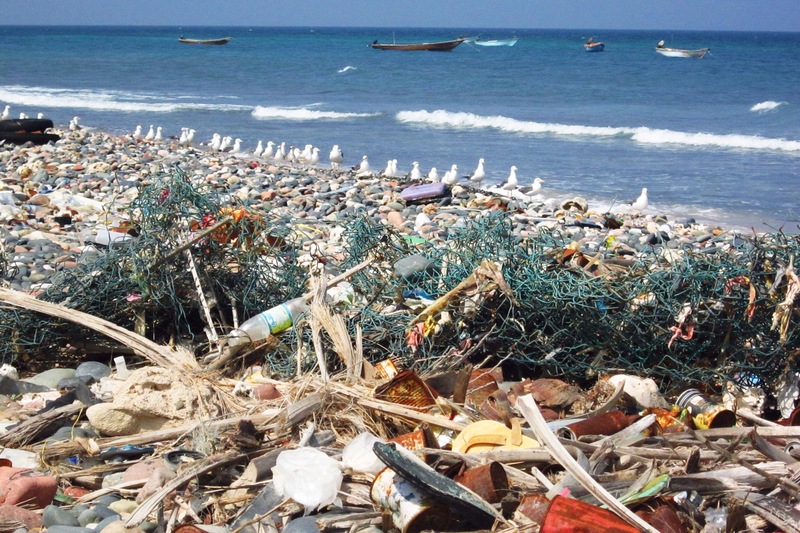 One powerful effect of coastal cleanups is that they allow individuals to confront the scope of the waste and plastic pollution problem. As people all over the world participate in coastal cleanup events, it’s important that we pay attention to how we frame the problem of plastic pollution—more extensive cleanup efforts will not address this issue. We need source reduction to stop waste from being generated in the first place before it washes down a watershed and requires costly and ongoing management as well as cleanup downstream. Much of the press today will be focused on better recycling, waste-recovery, and waste-disposal practices. At ReThink Disposable, an award-winning and results-driven program of Clean Water Action, we focus on empowering food service businesses to reduce packaging at the source. Food service packaging is a significant contributor to the massive quantities of waste and litter that imperil our regional waterways. Preventing unnecessary packaging, rather than trying to improve recycling, composting and waste disposal, is the best long-term solution both for businesses and the planet. Businesses who undergo the ReThink Disposable certification process receive individualized assistance from trained auditors who offer and help implement recommendations for cost-saving reductions in single-use food packaging. Focusing on the food service industry for waste reduction and preventing plastic pollution allows businesses to take a leadership role in environmental stewardship and gives consumers an opportunity to vote with their wallets by eating at green businesses. The City of Palo Alto, with whom ReThink Disposable has a three-year partnership, exemplifies the massive impact ReThink Disposable certified businesses have in their cities. Participating businesses in the City of Palo Alto are currently preventing over half a million disposable packaging items and 14,000 pounds of waste each year. On September 17th, 2018, Mayor Liz Kniss will award five Palo Alto restaurants for their completion of the ReThink Disposable Certification process and their commitment to the City of Palo Alto’s Zero Waste and pollution prevention goals. The business awardees are Sprout Café, Kirk’s Steakburgers, Palo Alto Baking Co., New York Pizza, and Gelataio. At the ceremony, the Mayor will also recognize three other businesses who are in the process of becoming ReThink Disposable certified, including The Oshman Family Jewish Community Center’s Nourish Café, Teaspoon, and The Counter. What happens in Palo Alto sets a model for what is possible in Silicon Valley, in the Bay Area, and across our nation. By supporting businesses who’ve committed to source reduction and encouraging others to follow in their footsteps, we are moving towards a future in which our oceans are no longer inundated with plastic—a future in which International Coastal Cleanup Day will no longer be necessary. That future is worth fighting for, now.